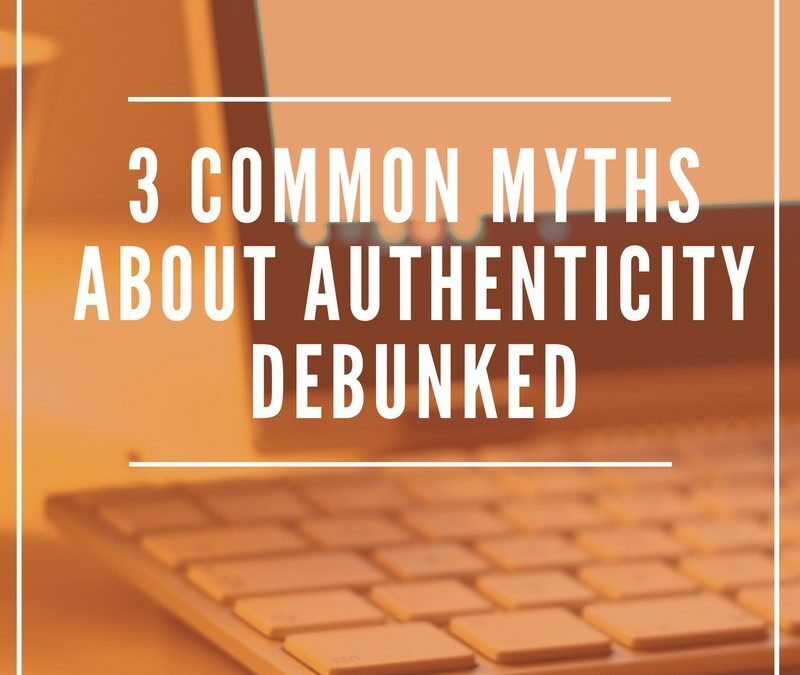 Lately, there’s been a lot of emphasis on being “authentic.” People are making the term a part of their brand, and it’s a buzzword splattered all over social media. I don’t dispute the importance of this topic, hence talking about it right now. But I worry that some experts are overcomplicating a trait that should come naturally. I mean, we’re supposed to be genuine human beings, right? So why is authenticity being sold as the latest hack to build your personal brand? Screaming “Look at how authentic I am” comes off as natural as a poodle with pink fur and a mohawk. You don’t tell people you’re authentic. You show them. Otherwise, you’ll look like a fraud. So, I want to debunk some common myths about being authentic, because they’re counterproductive to building a strong personal brand. As a struggling perfectionist, I sometimes feel the pressure of wanting everything to look “right” on social media, even if it’s self-imposed. But do perfectly laid out pages, pictures with perfect lighting, and perfect lives translate to being authentic? Or, are they just illusions for the sake of appearances? Some folks on platforms like Instagram feed into the perception that you have to be perfect to get attention. This can either force you to keep up with these standards or shy away completely. Here’s the thing: Being authentic doesn’t mean you have to show a neatly packaged version of yourself that meets the standards of others. While a cohesive and consistent brand is important, there should be a balance between what’s perfectly staged and what’s real life. This could be including bloopers in a video, posting a blog that has more grit than grace, or sharing a picture that isn’t picture-perfect. You don’t have to present a superficial world of butterflies and rainbows. Instead, show who you are, what makes you tick, and why you do what you do—imperfections and all. So, this is the opposite of confusing authenticity with perfection. There’s the misconception that “keeping it real” means sharing your deepest insecurities and fears (yikes!). This strategy of putting ALL your personal business out there to connect with your audience is misleading and can hurt your brand. Sure, baring your soul in a blog or recording a video in your car crying about a career mishap may get you extra “likes,” but at what cost? You risk not being taken seriously as a business. You still need to think about your overall message and how you want your target audience to view your brand. If you share too much for the sake of being “authentic,” you can appear to be an amateur and not a thought leader. Also, potential clients, colleagues, and people who know nothing about you may get the wrong impression and incorrectly judge you. There’s nothing wrong with sharing your personal beliefs and values by using stories that show vulnerability. In fact, this is how you make an emotional connection with your target audience. Still, don’t forget to align your mishaps with lessons that demonstrate how you bounce back from adversity. There are some things that can be taught like which fork to use when going to a fancy dinner and there are a zillion options on the table. (I’m no Martha Stewart, so I learned from Julia Roberts in the movie Pretty Woman.) But no one, I repeat, NO ONE can teach you how to be an authentic person. When I work with my clients, I write copy that helps them highlight and refine parts of their personality that enhances their personal brand. After all, there’s always room to make improvements and build self-confidence. But it’s never about teaching them to be someone they’re not. That would be inauthentic (and kind of defeats the purpose). It’s easier to be yourself because you’ll attract people who appreciate YOUR style, whether it’s witty, straightforward, bold, sarcastic, pragmatic, or nurturing. Don’t be the pink poodle. If something doesn’t feel natural to you, then you’re certainly not fooling anyone else. The more you’re truly yourself, the easier it is to keep it real—for real.